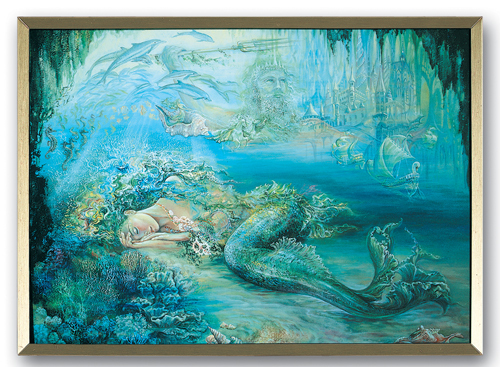 The fertile imagination of Josephine Wall brings to life ancient legends of the sea, as the ethereal mermaid spins her dreams of Atlantis, the lost continent where according to Plato, an advanced civilization developed some 11,600 years ago. Mighty King Neptune dominates the reverie, a symbol of power with his impressive crown of sea-jewels, long flowing beard, and the powerful trident for which he is known. Playful dolphins, regal sea-horses and ghostlike ships bring movement and energy to the tranquil scene, where light and water combine in a soothing dream-world of capricious fantasy. Josephine Wall lives and paints in the English countryside, immersing herself in the lights and colors of the natural world around her. 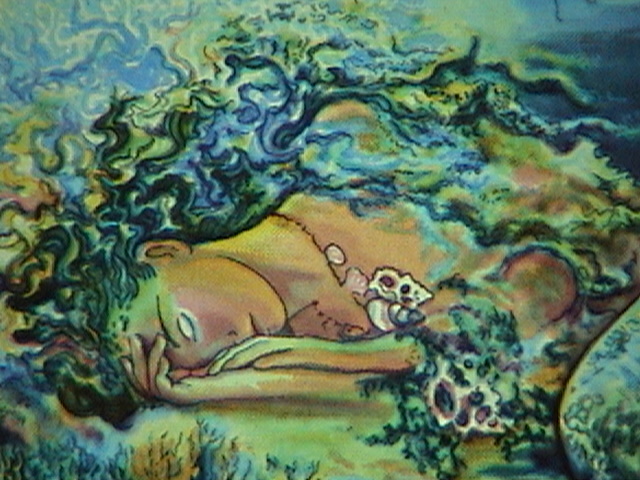 Reproduced the world-over, her paintings provide an introduction into a delightful fantasy world of beauty, serenity and imagination.